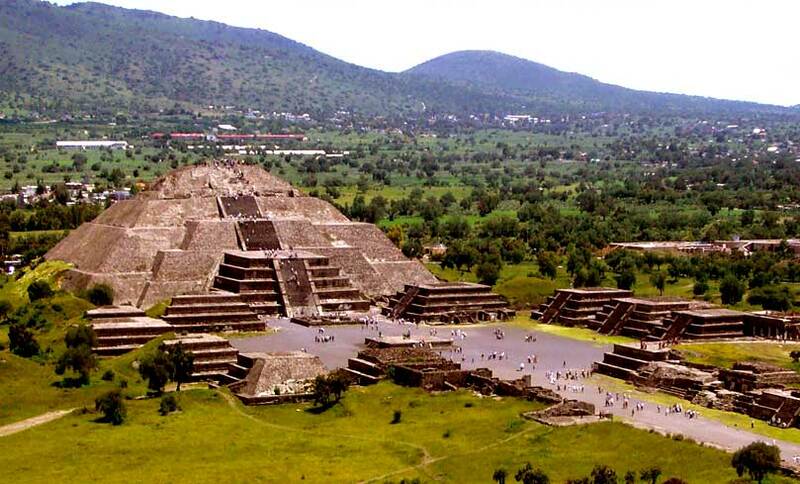 Central Mexico’s Teotihuacan contains some of the most architecturally significant Mesoamerican pyramids built in the pre-Columbian Americas — and one of them has a river of mercury leading to something interesting… and DISCO BALLS! Mexican researcher Sergio Gómez announced in August 2015 that he had uncovered more than just random interesting artifacts in his excavation under the Pyramid of the Feathered Serpent in Teotihuacan, Mexico — he found a chamber containing a vat of mercury that seems to lead somewhere important. Besides the jade statues, jaguar remains, a box filled with carved shells and rubber balls, archaeologists also discovered quite a bit of mica set up in various ways, presumably to use as mirrors. Annabeth Headreck, a professor at the University of Denver and the author of works on Teotihuacan and Mesoamerican art explained to The Guardian that mirrors were considered a method of looking into the supernatural world. Headreck’s puzzlement isn’t totally surprising. During an excavation in 2013, the archaeological dig used a camera-equipped robot which found strange, enigmatic mirrored spheres resembling “disco balls”. “They look like yellow spheres, but we do not know their meaning. It’s an unprecedented discovery,” claimed Jorge Zavala, archaeologist from Mexico’s National Anthropology and History Institute.